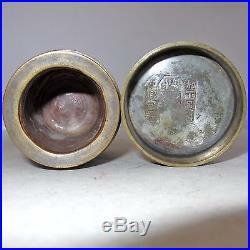 Small Signed Antique Chinese Pewter & Copper Teacaddy / Round Box. 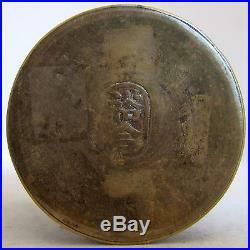 Chinese Pewter & Brass or Bronze Teacaddy or Round Container Box. Lined inside with Pottery. 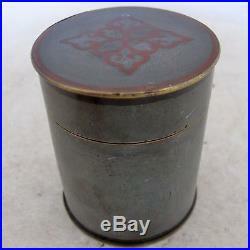 Accented with Red Trim & Design on the Lid. 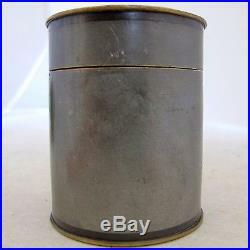 There are several Chop Seal / Makers Marks on Bottom & inside the lid. Exact age unknown, probably mid 19th to early 20th century or so. 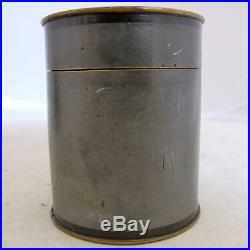 2.15″ wide x 2.6″ tall. 7.6 ounces total. 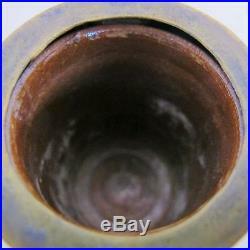 With heavy use wear. 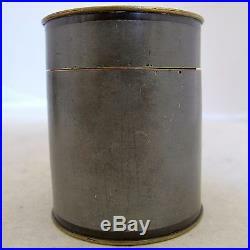 Please view my other items. 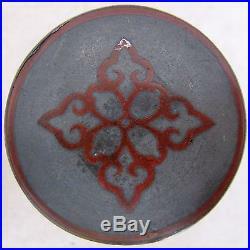 There are many more wonderful Asian pieces. Please contact me for international rates. Return accepted only if the item is not as described. 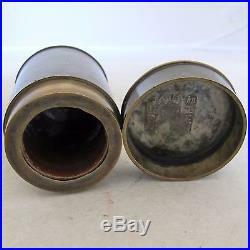 The item “Small Signed Antique Chinese Pewter & Bronze Teacaddy / Round Box (2.6)” is in sale since Saturday, April 22, 2017. 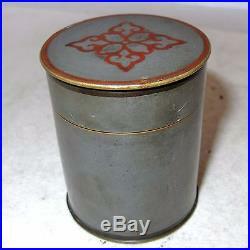 This item is in the category “Antiques\Asian Antiques\China\Tea Caddies”. 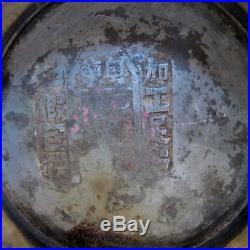 The seller is “silverpaw” and is located in Santa Cruz, California. This item can be shipped to United States. This entry was posted in small. 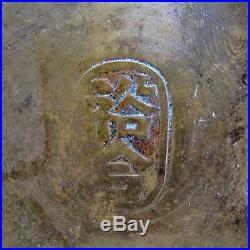 Tags: antique, bronze, chinese, pewter, signed, small, teacaddy.